This week, Germany bans pre-orders without release dates, Rainbow Six Siege players get instantly banned for using slurs, and Ubisoft has its best fiscal quarter yet. Known for having some of the strictest consumer rights laws in the world, a German court ruled that products available for pre-order with vague dates like “coming soon” or “shipping soon” must now specify the exact date that they will be delivered. VGR notes that this ruling was not reached because of any video game pre-order grievance, but after electronics retail company Media Markt was sued for excessive delivery delays for a smartphone. Shack News also notes that a wide number of games will be affected by this ruling, as opening pre-orders up to the public prior to announcing a release date is now a common practice among developers. 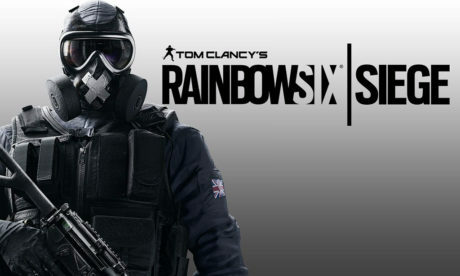 Using racist or homophobic slurs in Rainbow Six Siege will now earn players an instant ban from the game. The first offense results in a half-hour ban, followed by a second and third for 2 hours each, with any further offenses resulting in account investigation for a possible permanent ban. Fans banned for such offenses took to Twitter to voice their outrage as reported by PC Gamer, but the game’s official Twitter account responded taking these complaints as affirmation that they are doing the right thing. Kotaku drew a favorable comparison to Overwatch’s reporting system, happy that developers are taking more initiative to make their communities less toxic. 2018’s first quarter proved to be the most lucrative in Ubisoft’s history with reported sales of $466 million, as reported by Forbes, with the publisher’s stock up 104.8 percent since last year. Ubisoft cited “player recurring investment” in DLC, in-game items, season passes, subscriptions, and advertisements as the primary drivers behind their recent spike in growth. It was also noted that, for the first time ever, their PC game sales exceeded that of the Xbox One’s. Outlets like PC Gamer noted that Ubisoft has the potential to keep this momentum with big-ticket titles like Assassin’s Creed Odyssey and The Division 2 coming later this year.